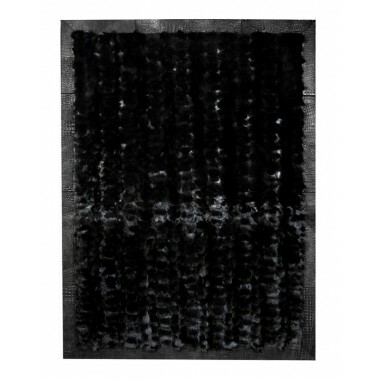 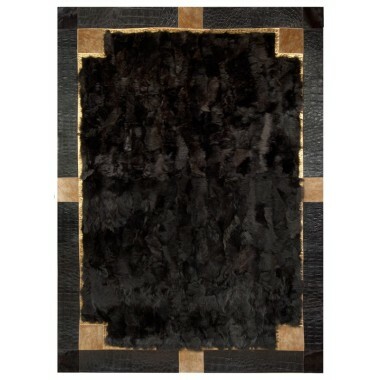 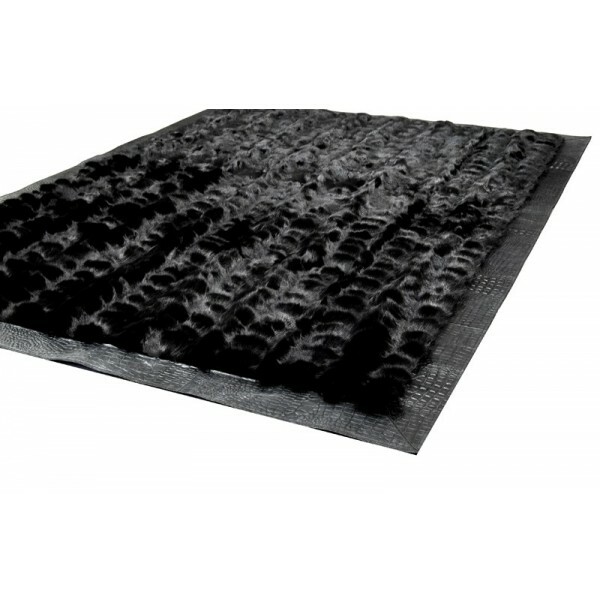 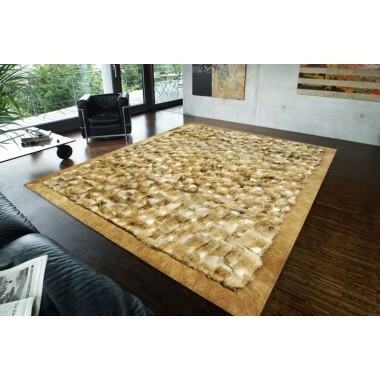 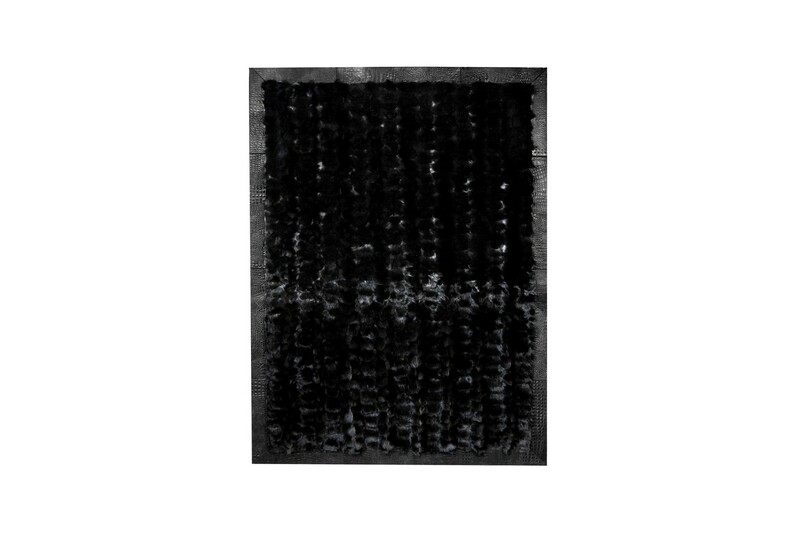 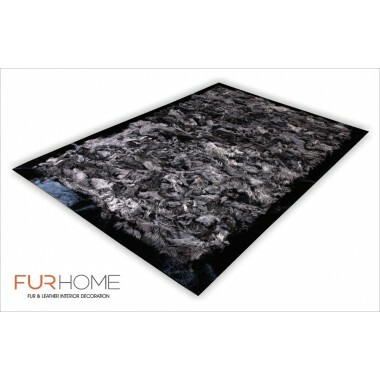 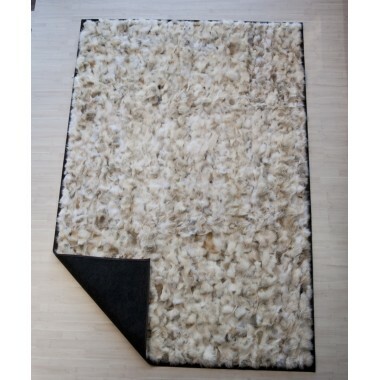 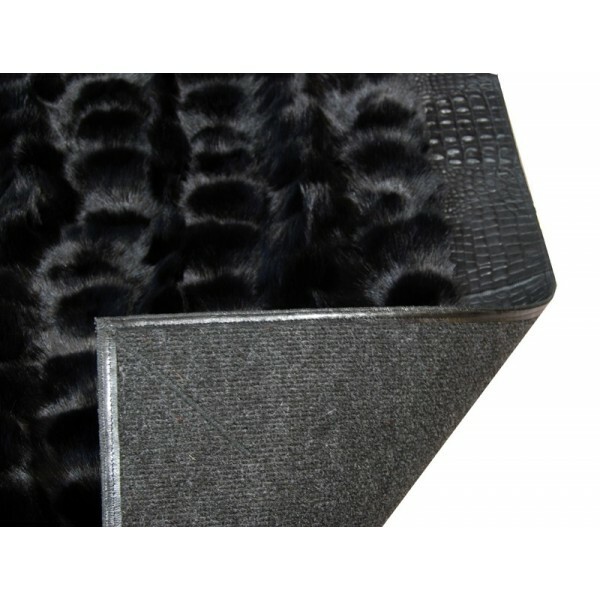 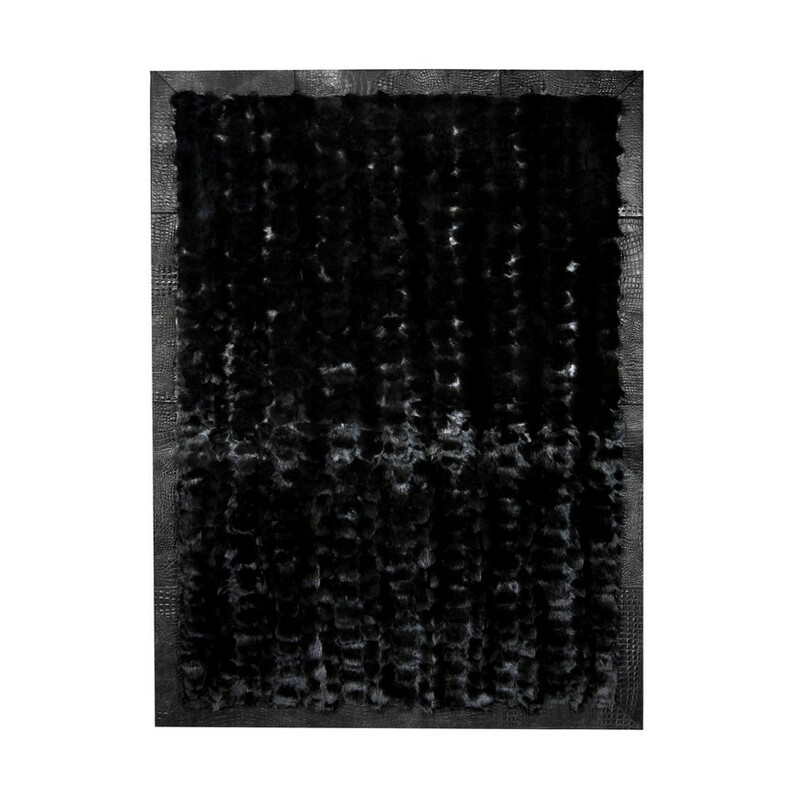 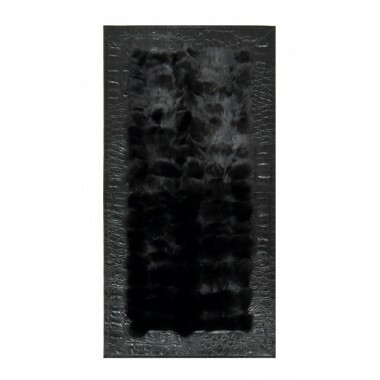 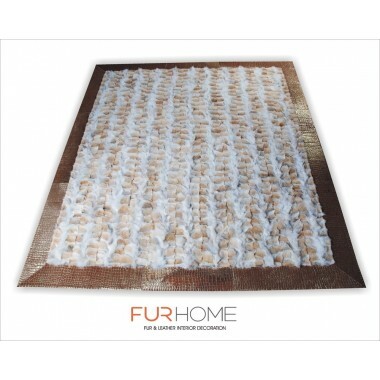 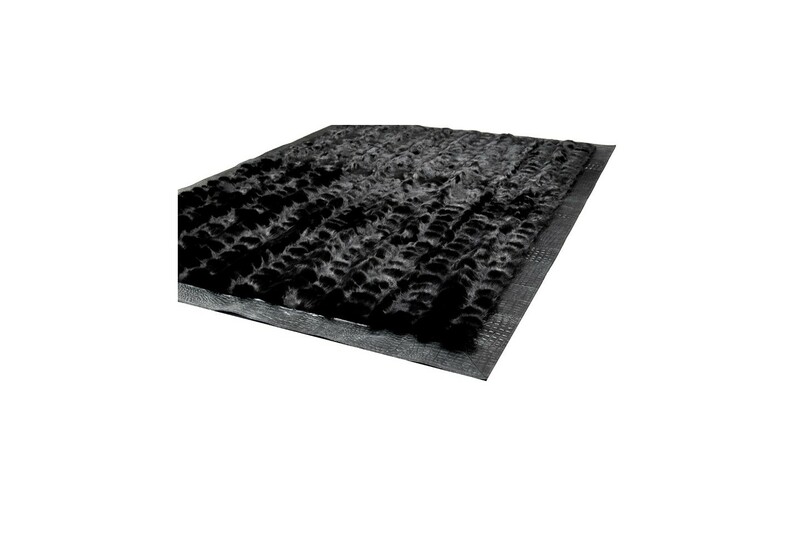 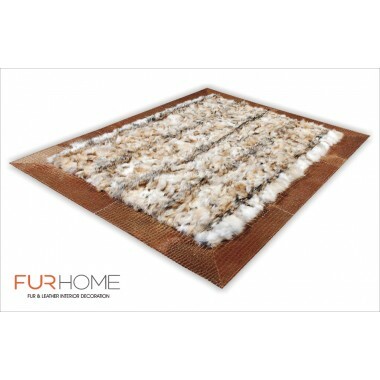 Luxurious carpet made of pieces of real fox fur dyed black (Nero). 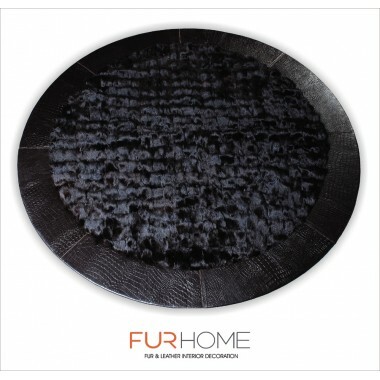 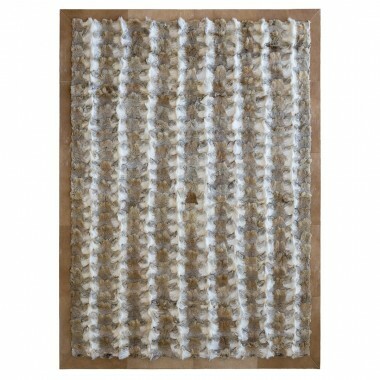 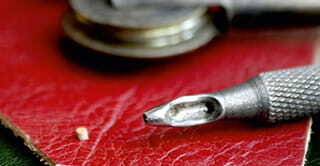 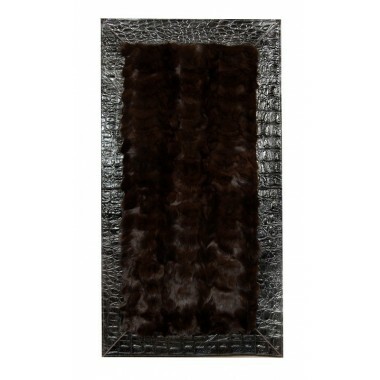 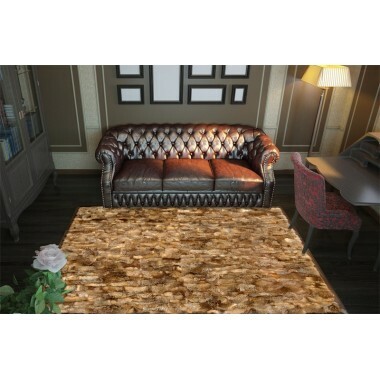 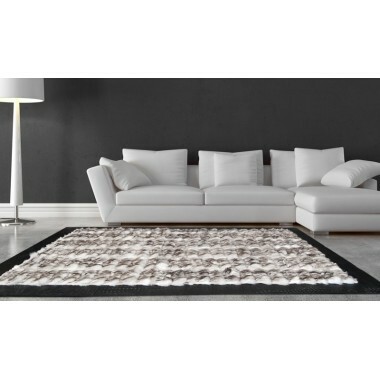 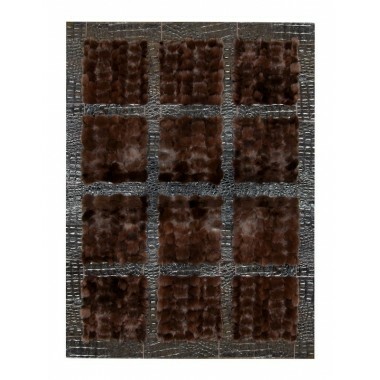 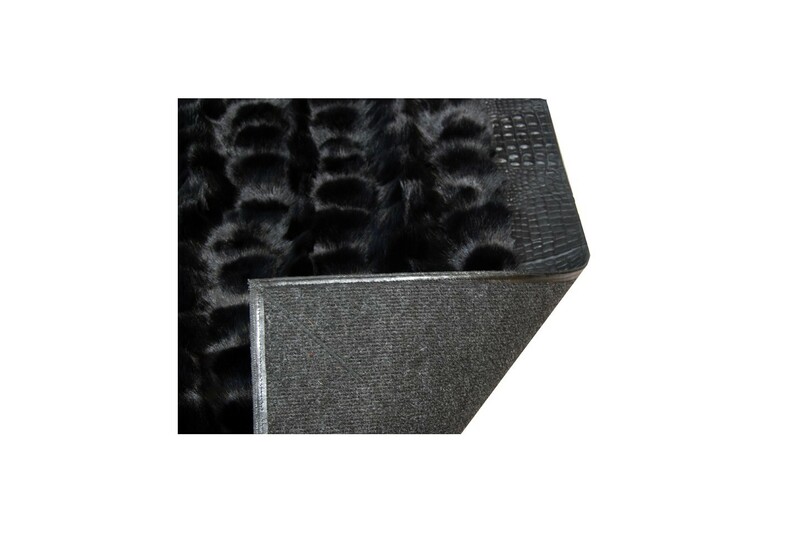 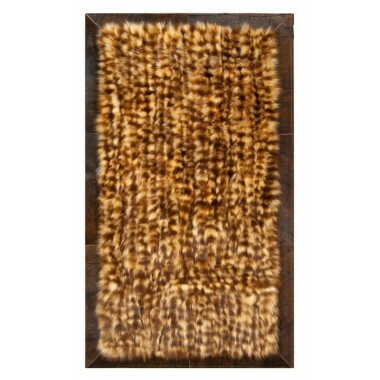 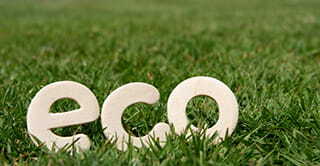 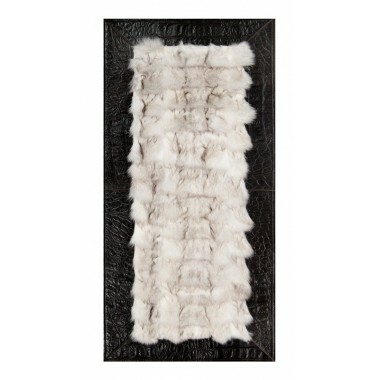 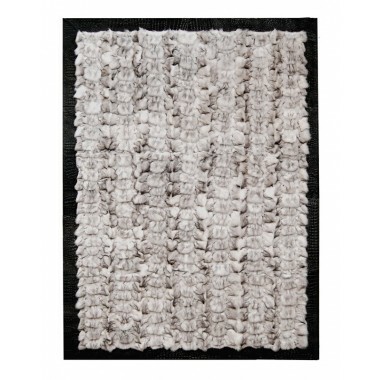 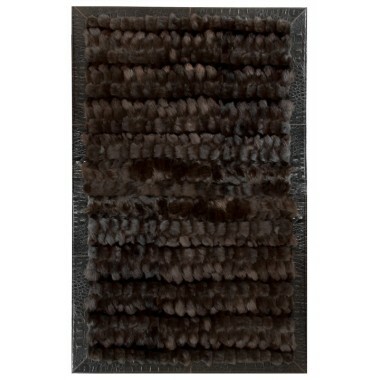 Soft and impressive with a croco-style leather border embracing the furry base of the carpet. 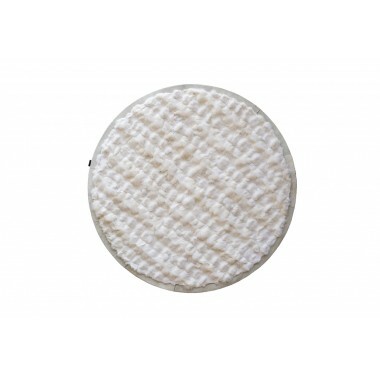 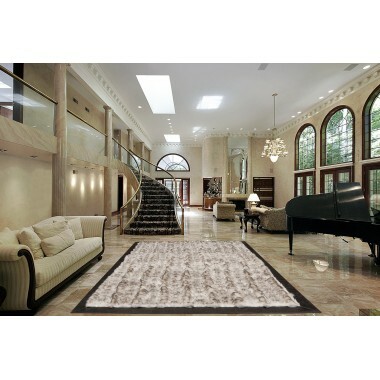 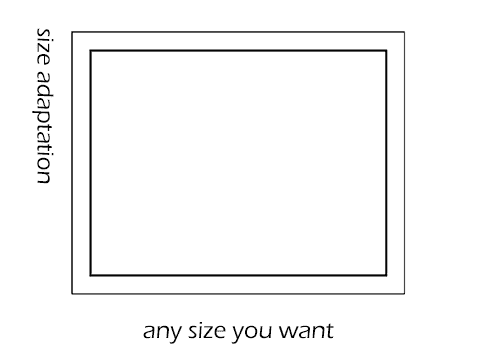 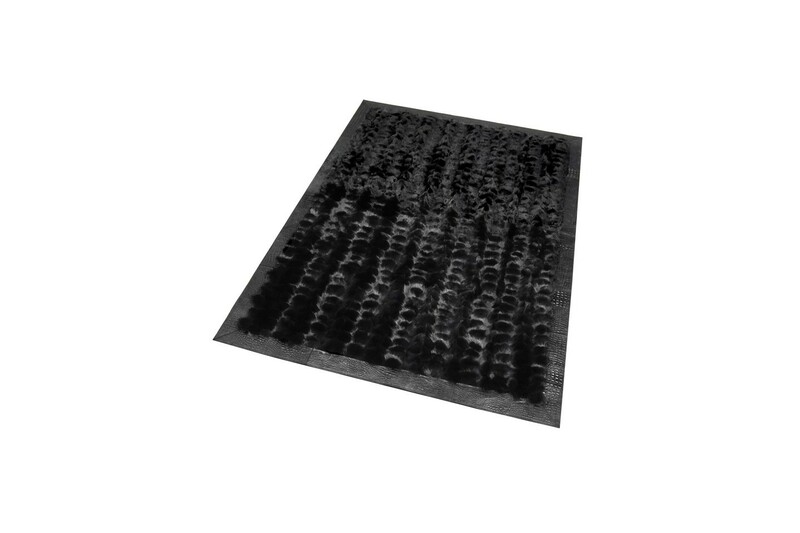 Uniquely warm, this carpet will surely add a palatial status to your house.